In the past couple of weeks i have spent quiet a bit of time working with WordPress and Blogger. I had to set up a WordPress website for XO, and move my Blogger blog over to this domain (fortechiesonly.com). In the process i discovered a marvelous resource for all things wordpress + web design. A company called Envato operates a network of websites that lets web designers and bloggers get themes, code , stock photos, audio, plug ins and apps. You can find all of these goodies at Themeforest.net and Codecanyon.com . 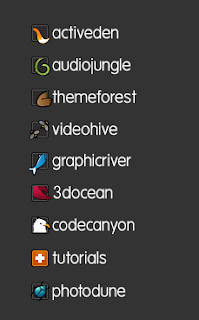 I thought the Wordpress "plug-ins" on CodeCanyon were especially interesting. The reason that i see this as an App marketplace for WordPress, is because a lot of this content is for sale. In fact i ended up purchasing a Super Skeleton WP theme from Themeforest.net. In the process of setting it up i got exposed to the concept of grid systems which seem to be the rage in web site front end dev circles. Both twitter and Zurb have recently relased grid based ui and template frameworks to quickly prototype web designs. I recommend checking out both actually, since they are both Free. Zurb's is called Foundation . Download it here. Twitter's is called BootStrap. Download it here.